What I want to do is create a curved line between those two points. I've used several code snippets from here, here and here – still, I am not able to make it work. Maybe there is someone who can help? I am totally new to SQL and PostGIS. Not the answer you're looking for? Browse other questions tagged postgis carto great-circle curved or ask your own question. How to calculate the angle at which two lines intersect in PostGIS? 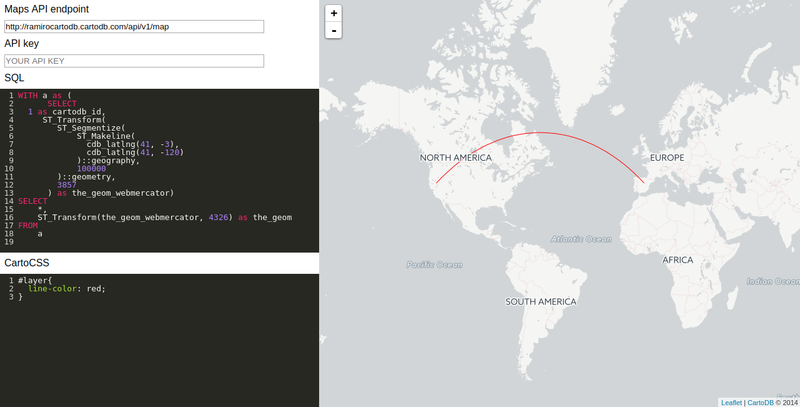 Drawing curved lines in CartoDB? How to properly deal with rectangles being curved on geographies?